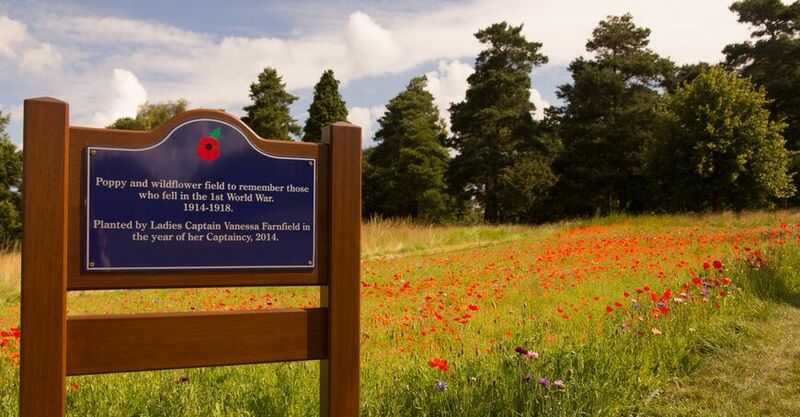 CLUB HISTORY :: Letchworth Golf Club, located in Letchworth Garden City, Hertfordshire the worlds first garden city. The Club welcomes all who visit this web site be they members, visitors or societies. 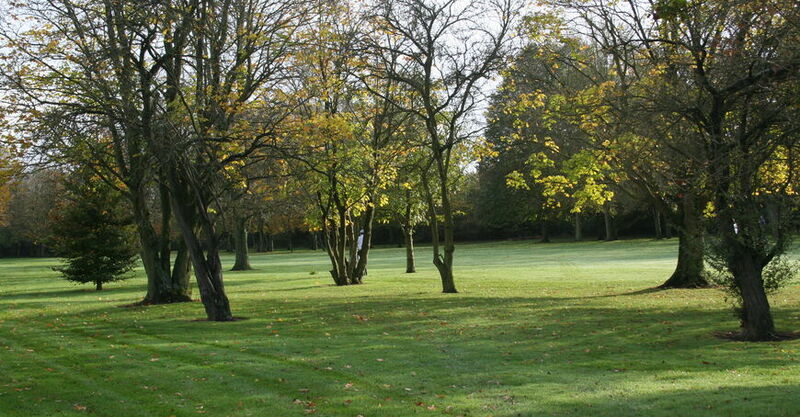 Well before the Garden City was dreamed of, the footprint of our golf course was part of an old village estate. 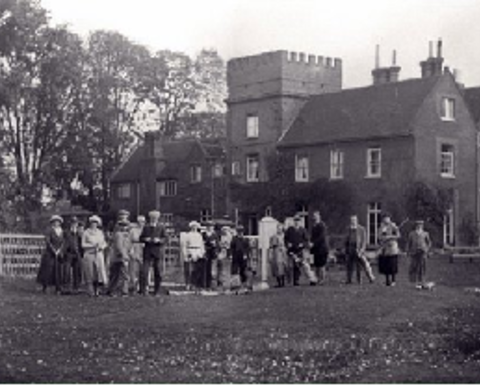 The 13th century Church and later Hall sit close to what is now the 1st tee. The land around the Hall was probably used as a deer park - heaven forbid that the owners would have to look out on their tenant farmers toiling away in the fields. The Lytton family of Knebworth owned this land for some 200 years before selling it for £11,400 in 1796. The new owner, John Williamson, left his mark on the land over the next 35 years. A local entrepreneur, he quickly realised that more profit could be had from agriculture, especially as the price of corn soared during the Napoleonic wars. So the land was put to the plough, and his legacy to us is the straight ridge and furrow plough marks (5yards wide) that can be seen across the 3rd, 10th, 12th, 13th and 15th fairways. Ironically, after his death, grain prices fell and his successors, the Alington family, used his money to recreate the original parkland around their home. But the furrows remain, so when you next get a bad bounce on one of those fairways, just remember it was all because we were at war with the French! 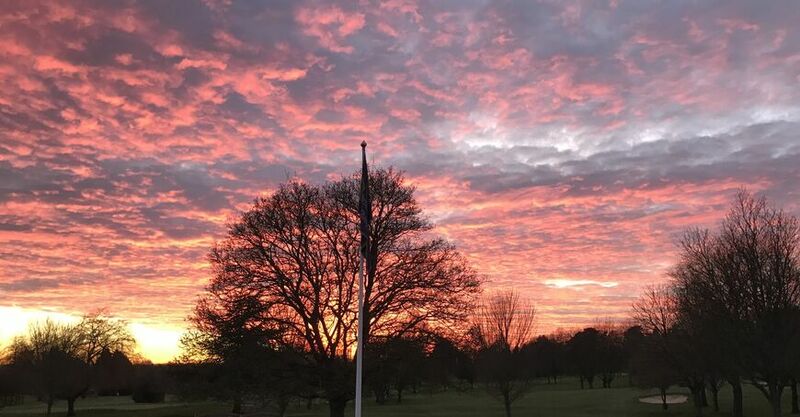 Around 1904, Hitchin Golf Club (which had a four hole course on Butts Close) applied for land to develop a larger golf course. The Garden City Pioneer Co. had just purchased a number of private estates and appeared to have plenty of space available. Things moved quickly and in 1905 a nine hole course was opened. Coincidentally, on the same day, the railway station opened and Letchworth Hall reopened as a hotel. A room was rented there as a clubroom. Initially the club struggled, especially with no clubhouse. But once this was established in 1909 (by the generosity of a committee member) membership numbers grew and so did the need for more holes. In 1910 Harry Vardon was invited to advise on the extension to 18 holes and a plan was submitted with a cost estimate of £500. 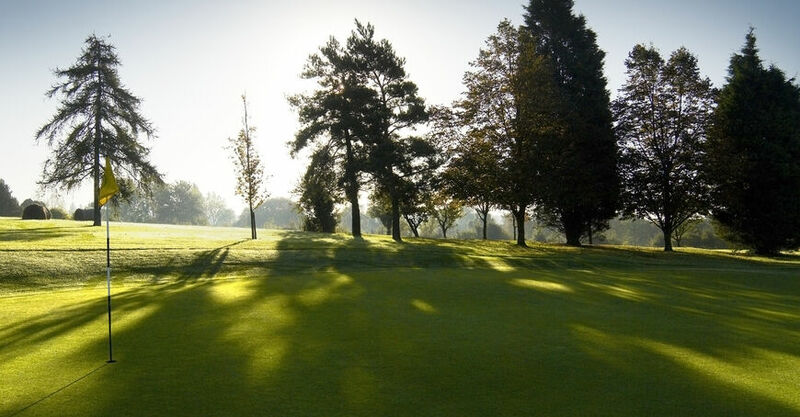 In October 1910 the new course was opened and Harry Vardon and James Braid were there to play the opening round. During World War II, there was pressure to return the land to agriculture, but this was avoided by agreement to graze sheep on the course, something which continued until 1948. 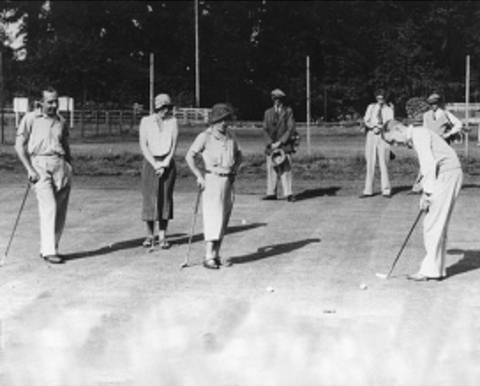 The course was also used as a Home Guard training ground and the clubhouse to accommodate girls from the Women’s Land Army. 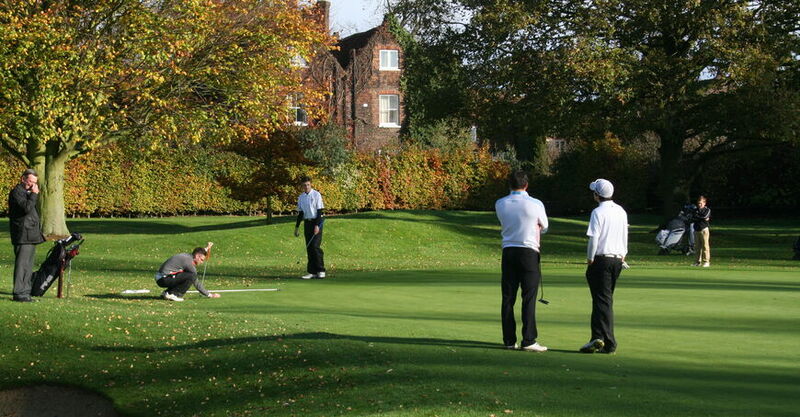 Various changes to course length were made over the next few decades, as well as a number of clubhouse alterations. But the biggest change of all was caused by a tiny beetle. 1972 brought the onset of Dutch Elm Disease and a rearguard action was fought for several years. However by 1976 the cause had been lost and over 180 mature elms had to be felled. This dramatically altered the course. Various tree planting schemes were put in place to combat this and the course recovered over time, albeit with a slightly lowered skyline. In 1999 an opportunity arose to acquire further land adjacent to the course, previously in use by the famed Harkness Roses but now surplus to requirements. Course architects were commissioned and the new design effectively created three new holes and lengthened four others, extending length by over 400 yards. The new layout opened in 2004 and has matured into the course we know and love today. 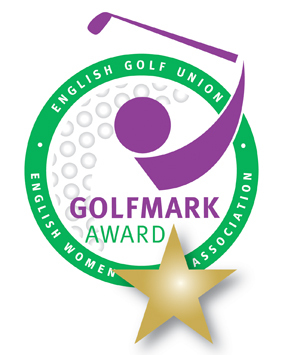 The latest development is the transformation of the old practice ground and pitch and putt course into the new six hole Academy Course and Practice Range, a facility which any golf club would be proud of. The heartbeat of every club, the membership and staff, has contained many familiar faces over the years. A testament to the club is the longevity of both membership and service. Indeed, many current members have graduated all the way from junior through to senior status. In 110 years the club has only had some seven professionals, with the most notable service from Bert Ashby (1907-1952) and John Mutimer (1966-99). In the clubhouse you may have your pint pulled or wine poured by Bob Worbey. From ‘helping out’ behind the bar, he progressed to club steward, before retiring and going part time – ‘little Bob’ has been with the club now for nigh on 60 years. 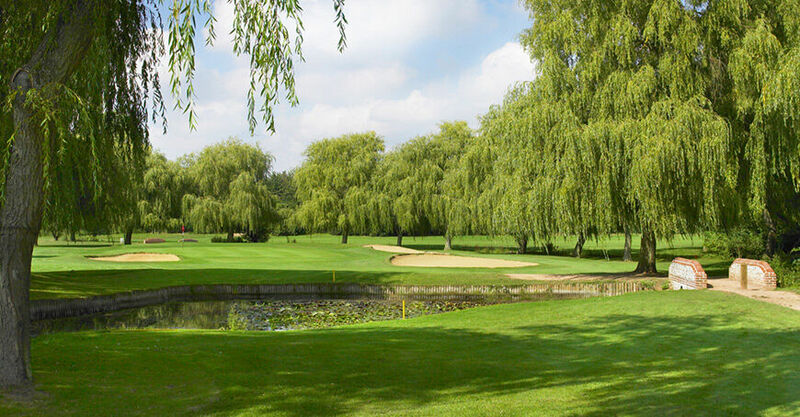 Apart from the 1910 round featuring Vardon and Braid, the course has been played by eight other Open champions. Take a look at the weathervane above the clubhouse and maybe you will recognise the iconic swing of Johnny Miller. When visiting England in 1987 and, hearing of this tribute, Johnny graciously paid a visit to Letchworth and played an exhibition match with two of our leading juniors. Neil Coles started out as a junior golfer at Letchworth. He then became assistant professional at the club before moving into the new era of professional tournament player. Bob Kenyon, twice winner of the Irish Open, became club professional in 1955. In 1956 he won both the British and World Seniors Championships and kindly donated the trophy for the latter to the club which, as the ‘Kenyon Cup’, is still contested by the seniors. George Houghton, the famous cartoonist of ‘Golf Addict’ fame was a member and captain in 1953. Bob Hope, the American comedian, having family connections in Hitchin, was a visitor in the ‘70s.